In our dressing we all have a pair of jeans and it’s easy to say that it’s the perfect companion no matter what we do (except the sport of course). Well, it’s simple, despite the many modes that pass, the jeans never passes. 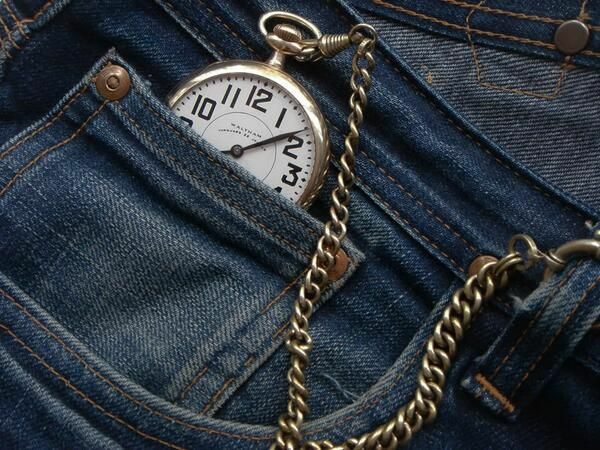 It seems that pocket watches are making a big comeback as a lot of watch enthusiasts are looking for something different, and so it’s time to tell you about their shared history. You see this little pocket that is sewn inside the biggest one that is at the front of your jeans? You know that little pocket on your jeans? The one that doesn’t really function as a pocket due to its tiny, tiny size, that sits inside a real pocket which actually has a real function. It is really small and I noticed that a lot of people are wondering about her utility. So yes, you can use it to store money or a key, but it turns out that this mini-pocket has a big story. To know the origin of this pocket, a small trip back in time is needed and we go back two centuries earlier, at a time when the jeans were still a workwear and where cowboys ruled the Wild West. 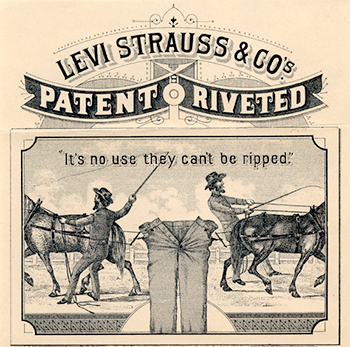 The two men received patent #139,121 from the U.S. Patent and Trademark Office on May 20, 1873. Within a very short time, the jean was a bona fide success. (Although, we should note that they were called “waist overalls” or “overalls” until 1960, when baby boomers adopted the name “jeans.”). According to some sources, the presence of a pocket gusset and a back pocket on jeans would have originated in the fact that Jacob Davis is first of all a tailor, making particular pants more dressed. He would have used such a model for the creation of his first riveted work trousers. 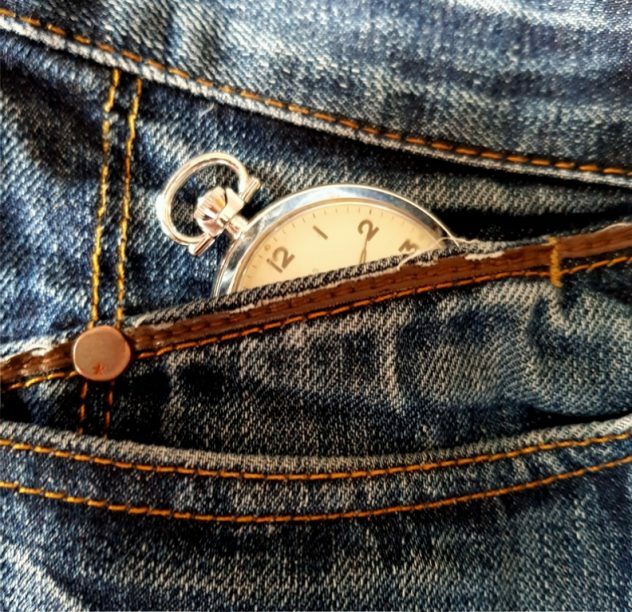 Well, it’s time for the revelation… This little pocket inside a pocket is actually for watches, designed for cowboys in the 1800s. This pocket has since inherited many names over the years, reflecting the evolution of society as explained on the Levi Strauss website, “Originally included as protection for pocket watches, thus the name, this extra pouch has served many functions, evident in its many titles: frontier pocket, condom pocket, coin pocket, match pocket and ticket pocket, to name a few”. 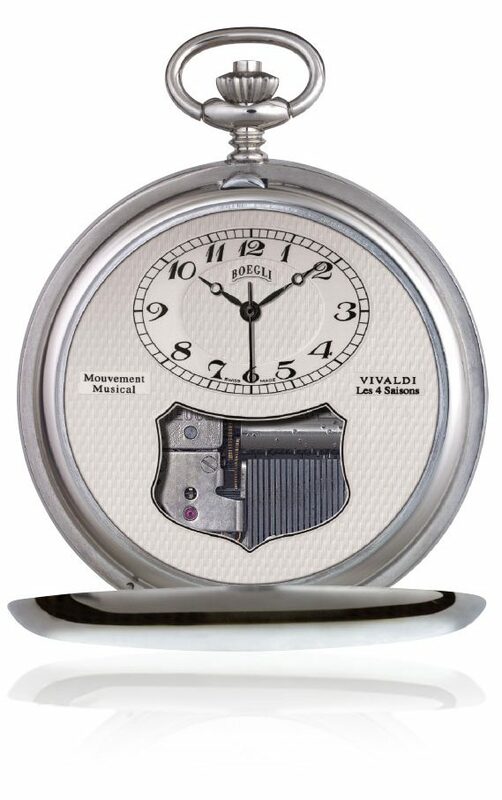 So now that you know the purpose of this pocket why not use it to store a Boegli musical pocket watch ? Original, practical and ornamental, the pocket watches will be appreciated as much as jewellery. Entirely Swiss made, their watches are all endowed with hand-assembled mechanisms. The rocking tic-tac of a movement can also be sublimated by a soft melody. From memories of yesteryear to renowned classical tunes, Boegli watches have exclusively paired musical movement with mechanical movement. Looking at the time is transformed into a unique bucolic and poetic moment. Time stops for a while leaving place for dreaming and magical meaningful melodies. In an effort to deliver the best product possible, they have developed a manufacturing system allowing the sound of their movements to be as crystalline as possible. Who can resist the charm of an old pocket watch that plays a lovely melody? The first timepiece with musical movement was invented 200 years ago. Since then, musical watches have fascinated lovers of fine mechanical timepieces. My pick would be the Boegli Concerto M40/A which is priced 1400 CHF.